NEW YORK—The quickly unraveling negotiations between the State University of New York (SUNY) and bidding developers of the Long Island College Hospital (LICH) have stalled health care services, prompting neighboring communities to bring its case back to court. On Tuesday morning, community members and elected officials will rally outside the Kings County Supreme Court house before a hearing. According to Jim Walden, an attorney representing the community groups that have rallied around saving the hospital for over 15 months, this may be their last stand. 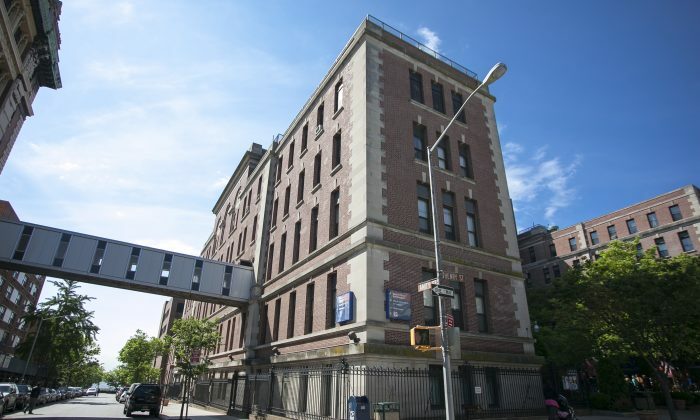 The historic Brooklyn hospital sits between Brooklyn Heights and Cobble Hill, but serves residents from many other neighborhoods who said they prefer the service at LICH over the long wait lines at neighboring hospitals. The recent death of a Red Hook resident who might have been treated a little earlier at LICH has sparked further outrage among community members. In 2013, SUNY put out a request for proposals (RFP) and awarded Fortis Property Group the highest bidder. The community groups appealed to change the ranking system of the RFP, to award more points to bids with more health services. They are now arguing that has not happened. Brooklyn Health Partners was the top bidder in the second RFP round, but SUNY’s attorneys quickly determined they did not have the financial means to provide what they proposed—a full service hospital with 300–400 beds. Peebles Corp. came in second place, but negotiations fell through almost immediately after a judge approved their agreement. SUNY sent Peebles a letter on May 5 stating it had 30 days to negotiate, and on May 22, Peebles signed a statement of principles with the community. The next day, SUNY asked Peebles to assume malpractice liability, which the developer could not do because it did not have a license yet to legally do so. It offered to reimburse SUNY instead, but SUNY declined to further negotiate. “Up until that point we believed that we had a deal,” said Tawan Davis, Peebles COO. Unlike the previous bidder, SUNY had no doubts about their ability to finance or develop the project, and Peebles had proposed an assessment to determine what sort of health services the community would need, independent of the RFP. Peebles has not determined whether it will appeal SUNY’s decision and is examining its options going forward. Now SUNY is in talks with Fortis, which proposed emergency services and a free- standing clinic. The fourth bidder, Prime Healthcare, is proposing a full-service hospital and has the experience to do so. However, under the original settlement terms for the new RFP, SUNY does not need to continue negotiations with bidders after going through the first three. Walden hopes the developers will stand with the community tomorrow and push SUNY to be more transparent with the process. The developers have not indicated if they will do so. Walden writes that it is in their interests if SUNY has manipulated the RFP process. Other community members want the same. Desire Gadsen had been a nurse at LICH for 34 years, and was there until the very last day, delivering the very last patient at 5:35 p.m. on May 22. “We are now seeing SUNY[’s] overt manipulation of this process, effectively denying us the benefit of our original settlement,” Gadsen wrote. She acknowledged that because LICH sits in a wealthy neighborhood many residents choose to use hospitals in Manhattan. But, she added, seconds can make a difference in saving a life. The doctors at Long Island College Hospital saved Sue Raboy’s life just months after the State University of New York (SUNY) saved the hospital in 2011.